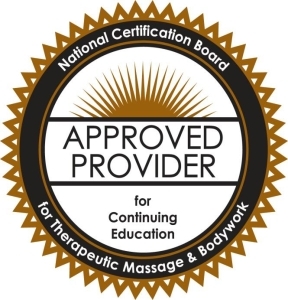 This online course is designed to provide Massage Therapists and other health practitioners with pressure techniques that can be applied to points and along meridians to enhance treatment. You will learn how the concepts of Traditional Chinese Medicine (TCM) can be applied to massage while staying within your scope of practice. The course started as an in-person workshop but due to popular demand it has been converted to a series of online video lectures to provide greater accessibility. It was originally developed for Massage Therapists but is also relevant for Physiotherapists, Chiropractors and other health professionals. The entire course takes about three hours to complete and can be done all at once or over several days. This course is formally approved for continuing education credits by the associations listed below. The list is growing and will be updated as new approvals are granted. NOTE: Many regulatory bodies and professional associations do not have a list of approved courses but leave it up to the member to choose which courses they take to meet their continuing education requirements. If you are unsure of course eligibility and require further clarification, please contact your professional association. You can also contact us if you need additional information on the course, instructor, content etc. Jeffrey Chand, R.Ac (Dipl. TCM) graduated from the International College of Traditional Chinese Medicine and has been in practice as a Registered Acupuncturist for thirteen years. Post graduation, he furthered his education and training through practical experience at a hospital in Taipei, Taiwan. He is founding director of Coastal Integrated Medicine, a wellness clinic in Victoria BC, and is a licensed member in good standing of the College of Traditional Chinese Medicine Practitioners and Acupuncturists of BC (CTCMA). Kristina Hanson, BHSc, RAc. (Dipl. TCM) has been practicing Acupuncture and Traditional Chinese Medicine for over 10 years. She has an interest in the integration of Eastern and Western medicine, evidence-based research and the future of health care systems around the world. She is a licensed member in good standing of the College of Traditional Chinese Medicine Practitioners and Acupuncturists of BC (CTCMA). Details: Upon completion of the video lectures please complete the short multiple choice quiz and course evaluation form. A passing grade of 70% must be obtained. Upon completion of the course evaluation form and quiz you will receive a ‘certificate of completion.’ If you are taking this course for continuing education credits and your professional association requires any additional information please email EttyLearning@gmail.com and we will provide it to you. For further information please see our FAQ page. Click the button below to complete payment and start the video lectures. Once on the course site you will be prompted to ‘sign up’ by entering your name, email and a password. Make your password something you will remember. CURRENT SPECIAL! For our current special enter coupon code ETTYPROMO when registering.